Top Ten Tuesday is hosted by The Broke and the Bookish. They come up with top ten lists that people can blog about every week. I usually wait until an entire series is released before jumping in, because I hate having to wait to find out what happens next and this way I can just binge read the entire thing! But there have been a few times this year when I actually read a book in a series before they were all out. (A couple of times I was tricked!) And some of these are series I’ve been reading for years and they just keep on going. Okay so technically it’s book one, but I’m hoping Percy Jackson or Annabeth Chase make at least a cameo appearance. Riordan’s new book features Norse Mythology and stars Annabeth’s cousin Magnus. He’s living on the streets when his uncle tracks him down and tells him he’s descendant from a Norse god. To prevent the end of the world (Ragnarok) Magnus has to search the nine realms for a weapon. I mean Rick Riordan and Norse gods (secretly hoping for a Loki appearance) I just know this book is going to rock! I never expected to love Cinder, I mean cyborg Cinderella? But I do! And finally the last book is almost here! We also get a novella staring the evil queen Levana to tide us over for fall. Things that need to happen: All of the couples live and are happy, obviously Levana is defeated and the Lunars freed. Cinder becomes queen of the moon and of New Beijing. Don’t want much, do I? Oh, and I want something nice for Iko too, she’s the best! It doesn’t have a title yet, but I need it! The epilogue in the first one convinced me that the sequel is going to be even more epic than it’s predecessor! (I have a feeling Pratchett is going to make every one of my lists somehow.) Okay technically the next Discworld book that’s going to be released is The Shepherd’s Crown (Tiffany Aching, #5), but I’m not as big a fan of Tiffany as the regular Discworld and I still don’t own Raising Steam! (I’m hoping for Christmas) I’ve owned Thud since it came out, but I’m still saving it so technically that could be on my list too. Yes, I know technically this is another first book of a series, but it’s in the Grisha universe, so I say it’s a sequel. A crew of dangerous felonious misfits face impossible odds when they are pulled together to break into one of the most guarded places in the world. We have new setting, Kerch which is the opposite of Ravka and the center for all world trade. Also there will be a Grisha in the Dregs and the magic will be expanded upon. My least favorite part of Shadow and Bone was the two “main characters” so I have high hopes for this novel, since it sounds like it’s staring people more like Sturmhound. I loved the Iron Trial and I have high hopes for where the story’s going to go next! Since nothing’s been released about Copper Gauntlet, I’ll group it with Lady Midnight, which takes place five years after Mortal Instruments (See it is a sequel) and stars Emma Carstairs. There are mysterious killings in the city and Emma is determined to investigate, because they are strangely similar to her parents deaths, but not only humans are being killed downworlders are too. After the fairy queen makes a deal, the shadow hunters stop whose doing this and they’re release Mark Blackthorn the stakes are higher than ever, because if they fail it means war. And they only have two weeks! I don’t expect this to be as good as Mortal Instruments or Infernal Devices, but I’m hoping to see more of Tessa and Jem! I don’t like the sounds of her falling in love with her parabotai, I know it’s forbidden, and maybe she’ll convince me, but it’s not really doing it for me. I liked Mark much better! The novels in the Recluse Saga are written out of chronological order, but in pairs (can’t spell duologys) and I wait until both are out to read them. This story line takes place after Cyador fell, so sixth? chronologically. Another coming of age story with a young male protagonist who wields both chaos and order powers, but I know Modesitte will make it awesome! 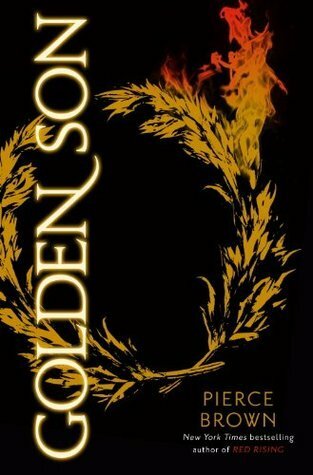 I really liked the start of Red Rising and I expect Golden Son to be more like that. I have a feeling we’ll finally get to see the space battle I expected from the first one. My main problem with Red Rising was the main character, Darrow and I’m hoping that he matured through everything the first book put him through. ‘Now a part of the elite, Darrow tries to bring down their society from the inside.’ doesn’t tell me much, but the first novel was nothing like I expected, so I’m trying to go into this one without expectations. After that ending I needed more, but I’m not too eager to read this after the blurb. First it reveals something that was the main reason I wanted to read the book to find out. Then it tells us that the bad guy stole Nym’s powers. So the whole book is a quest for her to get new powers? I’m not so sure I care. The cover’s pretty though. Expected Release Date: This Decade? The first book came out in 1996 (That’s almost 20 years ago!) I want them to be good, but come on! I NEED to find out what happens already! It’s supposed to start with two epic battles and tying up all of thee to be continued-ness in the very beginning. Honorable Mentions: Sequels I want, but there is literally no information on them yet. Griever’s Mark 2 (My review of the first one) I loved this book and I NEED to find out what happens next! Faerie Revolutions 2 (The Last Changeling) Another good book that left me wanting more. The Shadow Ravens 2 (Cipher) I look forward to seeing what the other two authors will do with this interesting world. Do you read series as they’re published or like me do you wait until they’re all released? What sequel is at the top of your for must have now list? Warnings: Parts of this book are brutal and violent. If you’re someone who’s bothered by these things, don’t read this book! In Red Rising society is divided by colors. The golds sit on top ruling over the rest, where pinks are for pleasure, greens are technicians and at the very bottom are the reds. Darrow is a red who works in the mines of mars obtaining energy to terraform the planet for the settlers to come. His life is hard, but meaningful. Then he learns that Mars is already terraformed and he’s little more than a glorified slave. With the help of other LowColors he plans to change the way things are. The resistance will change Darrow from a Red into a Gold and attempt to get him into the Institute which chooses the leaders of worlds. At the start of the book the world stinks. 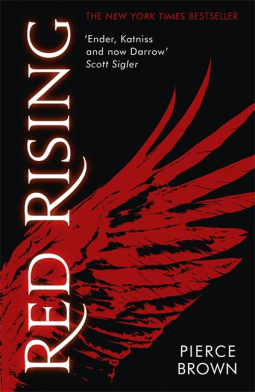 It does in most dystopians, but Red Rising brings it to a whole new level. Usually I don’t like where the book starts and then the timeline rewinds, but it worked here, because things were so bad I needed the hint that they’ll improve. 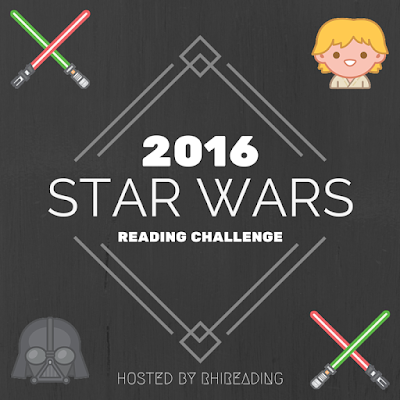 I loved the beginning of Red Rising! It started out so strong. I liked the latter half of the book too, but not nearly as much as that first quarter. It just wasn’t as unique and interesting, plus it was more brutal and violent, which I understand why, but I didn’t like it. This book was really like two books. The first quarter felt like a dystopian set in space and then the institute which we are expecting to be a school is actually a giant war game. I think the reason for mixed reviews is because the beginning of the book is so good and we think we know what we’re in for and them BAM something else happens for the rest of the book. The beginning of this book is amazing! So much potential for this series! The world building and the culture created in Red Rising is fantastic! I can’t wait to learn more about it in the rest of the trilogy. The technology that we’re shown is also cool and I liked how the history was told, so we know how the world wound up this way. Sometimes with such fantastic worlds it seems unreal, but even being set so far in the future I can see the world becoming like this. The romance. Yes, there’s romance in this book, and it feels real and is well done. This is a fast paced book full of action and twists and turns. (There are so many that saying this spoils nothing.) I was never bored. The main character is a know it all, which considering he’s a teenage boy makes sense, but as the story goes Darrow becomes harder to like. That’s my main problem with this book, Darrow. He’s a nice enough guy, but sometimes he’s just hard to like. I understand why he’s angry, but his rage and arrogance make him unlikeable. The author’s intention might not have been for him to come off arrogant, but because this novel takes place over the course of two years much of this story is told (Some things that really should’ve been shown.) and Darrow is telling us how great he is instead of us seeing him be amazing, so he comes off arrogant. The slang! I know it’s part of the world building, but it can be annoying when I don’t understand half of what’s said. Would I recommend this book? Yes, but only to some people. Will I read the Sequel? Yes, I have to know what happens next!